I’ve been buried deep within my book writing process, surfacing only for teaching trips to the Alps, Ireland and the odd Guild talk. Oh and of course my beautiful wedding! I’m pleased to say that have a lovely new helper by the name of Chloe who helping me shape my website and social media. The end is in sight for my intense stitching though and my book will be available in Spring 2019. Phew! 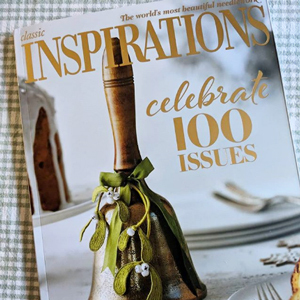 Congratulations to Inspirations magazine who published their 100th issue in October. For those of you not familiar with this magazine, it is simply the best embroidery magazine out there, if you like a more traditional style of embroidery with a different slant! Lucky me – I have all 100 issues I am proud to say! My Cottage Garden – as published in Inspirations magazine Issue 95 – is now available to purchase online, both as a full kit as well as Pattern and print. It can be found in both my Etsy shop and on my own website. Likewise Springtime , a new design in ribbon embroidery aimed at beginner to intermediate level is also available to purchase here. We will be offering a number of Christmas weekly specials during the month of November so keep your eyes peeled for that special gift. New on the website – We have a number of new haberdashery products to offer including a bigger range of hoops, frames and stands. I’ll be demonstrating at the this massive NEC event from 14-17 March 2019 and giving you a chance to see the projects from my forthcoming book. Pop by my stand for help with stitches or embroidery ideas! Find me at the annual lacemakers and needlecraft fair at Havant Leisure Centre on 17th November. I’ll be demonstrating on my stand which is in its usual spot by the entrance. I have two dates for the Alpine Experiences next year; July and September. 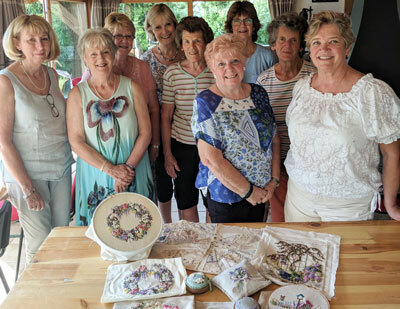 I was there recently in both July and September – our hosts are always delightful and the afternoon cakes always delicious! More info here. The brand new 2019 programme of Great Escapes retreats is now available and I’m pleased to be teaching a date at the beautiful Moor Hall near Windsor. It’s a new venue and I’ll be sharing projects from my forthcoming book! More info here. Meet me in St Louis? 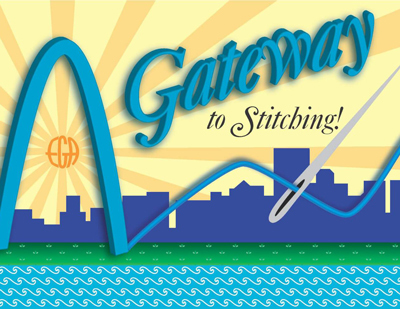 Exciting news – I have been invited to teach at the 2019 EGA conference in St Louis, USA. I will be teaching a four day design class and a one day class for beginners, both themed around my book. Early registration closes on 5 November.